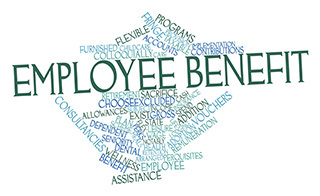 Every time open enrollment rolls around, companies go through many of the same motions to engage and educate employees about available benefits. Some may think they do an adequate job, but a recent survey from MetLife paints a different picture. In its 11th Annual Study of Employee Benefits Trends, the survey found that while 52% of employers believe their communications are very easy to understand, only 43% of employees agree. In fact, more than one-third graded their company's communication strategies at a "C" or below. Health care insurance enrollment is a hot topic these days. Don't underestimate the interest your workforce has in what's going on with the health care market exchanges. Even if you offer rich health coverage benefits, it's just human nature to wonder if the grass is greener elsewhere. So if you've got great benefits – talk them up. Be generous in your transparency as a way of improving employer employee relations. If your health care package is perhaps...marginal, don't sweep that under the rug. Transparency is the dominant trend these days, so the less you talk the more people may assume you have something to hide. If you can't afford rich health insurance benefits, come out with a well-written communication and explain exactly where you are focusing your revenue stream. Perhaps you're redirecting more funds to resources to help support and empower your current employees, or adding more employees to help alleviate the excess workload your staff has been carrying during the lean economic years. Maybe supplier prices or other overhead expenses have increased. Or you lost a big contract or client or a substantial investment in marketing or inventory didn't pan out. The point is that the more honest and transparent your communication, the more your employees will come to understand that the company has to look after its bottom line – or you'll all be out of jobs. Try not to write as if you're offering excuses – just lay it on the line. Your approach should be just as honest as if you're sitting across the desk explaining the situation to a bank lender: We have a lot of expenses, and running a business is about successfully balancing those demands. The more your workforce understands the underlying factors behind why your benefits may not be as rich as you'd like, the better they will feel when it comes to management relations. If you're tempted to deliver a more positive message, just don't oversell or promise any improvements in benefit offerings that may or may not happen in the future. However, if you have a strategic plan that is on track to enhance your health care coverage down the road, let your employees know, as this may help them in their own career and health care planning. These days some workers – especially older ones – may be making decisions about where to work based on benefits more than salary. If they know you have plans to offer stronger health care benefits or subsidies in the future, they may curb thoughts of looking for another job. Consider the best avenues for your HR communications – whether about health care expenses, an organizational change, or any other topic of interest to your employees. Work with someone with strong communication skills on your team to put your thoughts into presentations, or write a first-person blog (even if someone else ghost writes it) to post on your company intranet. Hold a voluntary "town hall" meeting or brown bag lunch where you can exchange information and receive questions – and even suggestions – from interested employees. Good communication allows information to flow two ways, so encourage an open door policy to discuss concerns and questions. And let's face it, some employees will be very interested in what you have to say, and others may choose not to read your materials or attend your meetings at all. The important thing is that you're willing to give them honest information.